Click on the Self Service Icon on the HOME Tab. If you have the Course Reference Numbers (CRNs), you can type them in the boxes, and Click Submit. Follow the steps on the other side to log in, and to access the Add or Drop page. 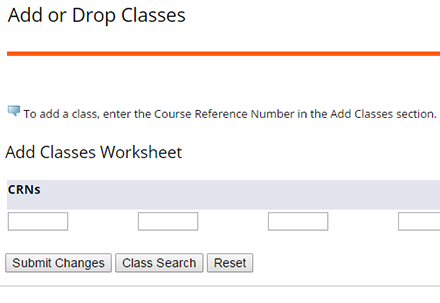 To search for classes, click the Class Search button at the bottom of the Add or Drop page. Then find the specific course and click View Sections. 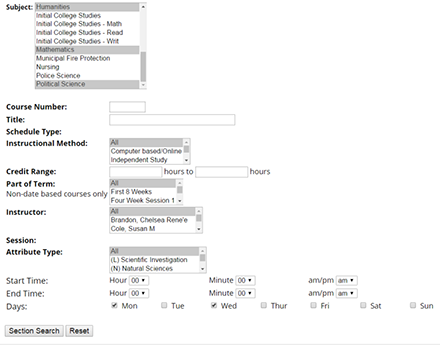 Choose your specific section/day/time and check the “Select” box. Click the Register button to enroll. To refine your search, for courses on specific days, times, online etc, click the Advanced Search button. 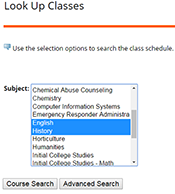 Find the class you want, and check the “Select” box. 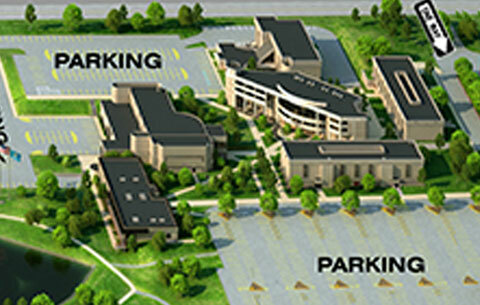 Click on the Concise Student Schedule link on the bottom of the Add and Drop Classes page.